Our CES team answers the most-asked questions about our advanced solar panels, including pricing, financing, system longevity, and our installation services. How much does installing a solar system cost? California Energy Services designs custom solar systems for all our customers. We incorporate a number of details into the design, including a home’s typical energy consumption, roof / ground space, and budget needs, to make sure every customer gets the most efficient and cost-effective system available for his or her individual needs. While the “payback period” varies, potential savings and available incentives are at a peak right now, making it the best time to consider solar energy. Solar panels are made up of photovoltaic (PV) cells, which convert sunlight into direct current (DC) electricity throughout the day. The DC electricity is then run through your inverter, which turns it into alternating current (AC) electricity. This is the type of energy you use when you turn on the lights or watch TV. Throughout the day, your Utility Meter is adding up all the energy you used. The electricity generated by solar panels turns that meter backward, and in some cases, can zero out your electricity usage. Are my solar panels reliable? Of course! California Energy installs reliable solar systems that feature remote individual panel monitoring, so you can make sure each panel is working at any given time or day. Despite popular belief, your panels are still working even in cloudy or foggy weather. How large will my solar power system be? Because each solar system is a custom project, there is no minimum or maximum size. That being said, if you have a certain size in mind, we will be more than happy to work with you and make sure your solar system meets your expectations. I’m not sure I can afford solar. Is there financing? California Energy Services utilizes several financing options to make sure all our customers’ needs are met, including CaliforniaFIRST, mPower, and GreenSky. What does solar power do to my property value? Having a solar system on your property absolutely increases the value! Renewable energy is gaining more and more interest, especially in California. As a homeowner, this means having a solar system increases both your home’s value and desirability. Take a look at this article from Forbes that talks about solar investment vs. return. How will installing solar affect my property taxes? In the 2015 tax year, homeowners who choose to install a solar system on their property are expected to receive a federal tax credit up to 30% of the installed cost. There is also legislation in place in California (Section 73) that excludes solar systems from being factored into your property tax. There are a few warranty options for solar, including 25- and 30-year manufacturer warranties. That being said, solar panels have been known to last for decades, with very little maintenance. For a lot of homeowners in the Foothills area, switching to solar is an enticing prospect. Many homeowners, unfortunately, believe that the move to solar is difficult or confusing, which simply isn’t true. 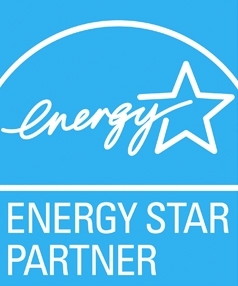 California Energy Services proudly offers top-quality solar installations. In addition, we partner with various financing and incentive programs throughout the state to make sure that solar is a reality for homeowners.